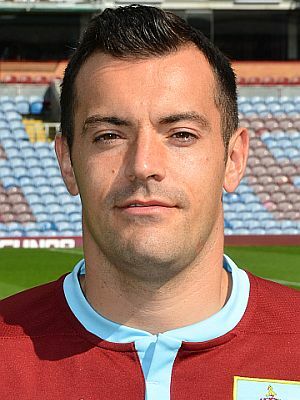 There is a fine collection of ex-Clarets being built up at Highbury, Fleetwood with Ross Wallace now the third to be signed since another ex-Claret Joey Barton took over as manager. Barton signed Chris Long and Dean Marney during the last window and he’s now added Wallace who has been a free agent since leaving Sheffield Wednesday at the end of last season. He trained in pre-season with Wigan without winning a deal but has been training with Fleetwood for the last two weeks. Wallace joined Burnley from Preston in the summer of 2010 following our relegation from the Premier League. He was with us for five seasons but missed much of the 2013/14 promotion season due to knee surgery and failed to win his place back, starting only one game in the Premier League in the following season. He was released at the end of the 2014/15 season having made 165 appearances for us and signed for Sheffield Wednesday where he played for three years prior to his release at the end of last season.